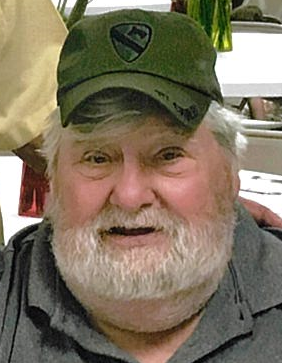 Clarence P. Wiseman, 72, of Deputy, Indiana, died Sunday, January 20, 2019, at University of Louisville Hospital. He was born November 19, 1946, in Corydon, to the late Elmer Lee Wiseman, Sr. and Opal Mae Stonecipher Wiseman. He was retired from Keller Manufacturing Company in Corydon, was formerly employed at Bornstein Building Company in Louisville, was a member of the Disabled American Veterans and the Veterans of Foreign Wars, was very active in the Boys Scouts of America where he served as troop leader of Corydon Troop #22, and was a U. S. Army veteran of the Vietnam War. He was preceded in death by his parents; his wife, Sarah Deputy Wiseman; his son, Pat Wiseman; and his brothers, Maurice, Kermit, Carl and Elmer Wiseman, Jr.. Survivors include his son, Jeff Wiseman (Hilary) of Madison, Indiana; his brother, Johnny Wiseman (Betty) of Guntown, Mississippi; his sister, Wanda Snyder (Charlie) of Corydon; and his grandchildren, Carrissa Wiseman, Mallory Toregerson (Trevor), and Timothy Wiseman. Funeral services will be at 1:00 p.m. Saturday, January 26, 2019, at Beanblossom-Cesar Funeral Home in Corydon. Pastor Rob Pryor will officiate. Visitation will be from 11:00 a.m. – 8:00 p.m. Friday and after 9:00 a.m. Saturday at the funeral home.